A portrait of Europe and its civilization in the 16th century - the moment when "Europe" first became an entity in the minds of its own inhabitants. It does not simply survey "high" culture, but paints a gigantic portrait of the age, enlivened by a mass of detail about often obscure figures. 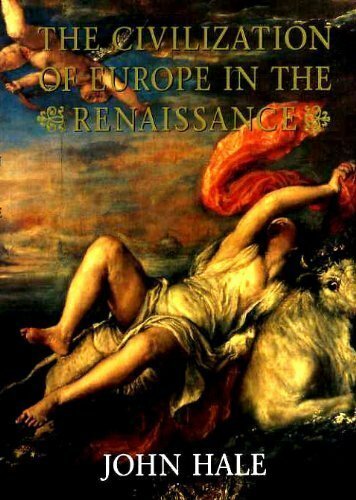 This is a rich portrait of Europe and its civilization in the 16th century - the moment when "Europe" first became an entity in the minds of its own inhabitants. It does not simply survey "high" culture, but paints a gigantic portrait of the age, enlivened by a mass of detail about the lives of often obscure figures who Hale brings to life to give point to his multiplicity of arguments. What precisely is meant by "civilization"? How usefully descriptive of the period as a whole is "Renaissance"? What, indeed, did "Italy" (for example) mean to contemporaries? These are some of the questions which Hale addresses in this challenging book.